Really, I don’t mean to play favorites and cause any bad feelings among my herb seasonings, but we all get into a rut sometimes. Don't we? I know I am one of the world's greatest promoters of basil. I’ve even been advised at times by my director to ease up on my passion for basil. So, you can say I’m turning over a new leaf. My fresh herbs this season are now planted and I’ve included a new family member to the group. Yes, there still is basil, but I've added lemon verbena to the group. 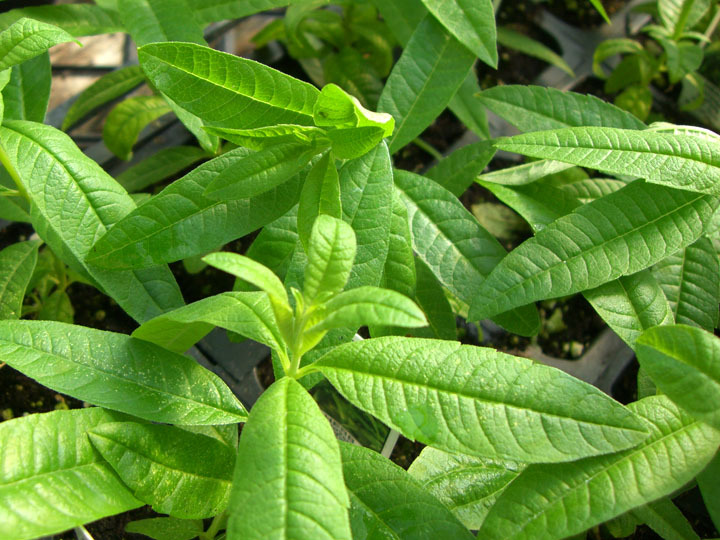 Native to Argentina, Chile and Peru where it grows wiild on roadsides; Aloysia Citriodora aka, Lemon Verbena leaves are ideal to use for a lemony flavor addition to grilled fish, poultry dishes, marinades, and beverages. I’ve even used this very aromatic herb in place of lemon zest for desserts, such as my Lemon Squares. Thirsty? Try adding lemon verbena to iced tea in addition to mint. Also, when added to herbal tea it provides a fresh from the garden taste to your warm beverage. The aroma is intoxicating. It was love at first whiff, when we met at the nursery!